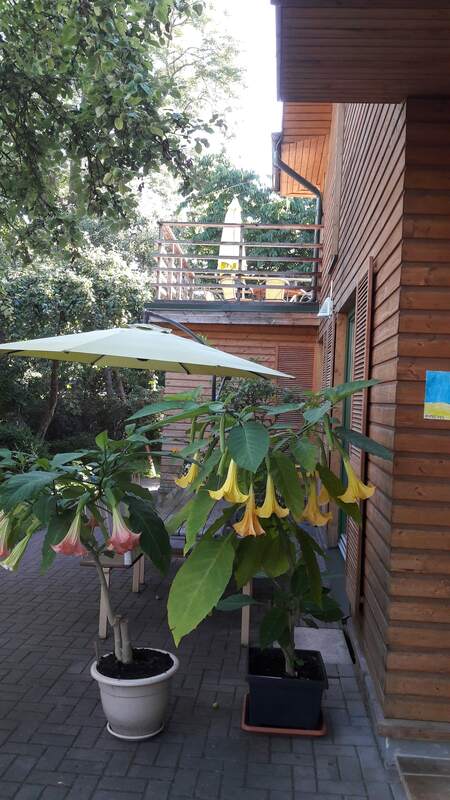 The villa is located in the centre of Palanga, near the river, just 400 m from the sea and 100 m from the main street of Palanga (Basanaviciaus street). Each apartment has a separate entrance, terrace, mini kitchen, WC with shower or bath, TV, wireless internet (Wi-Fi), car parking place in an enclosed yard. Baby bed can be added by request.